OXID eXchange | OXID eFire Extension PayPal 3.4.0 for 5.3.x | Stable | EE, PE | 4.10.x - 5.3.x | Module, Themes, Language Packs direkt herunterladen! 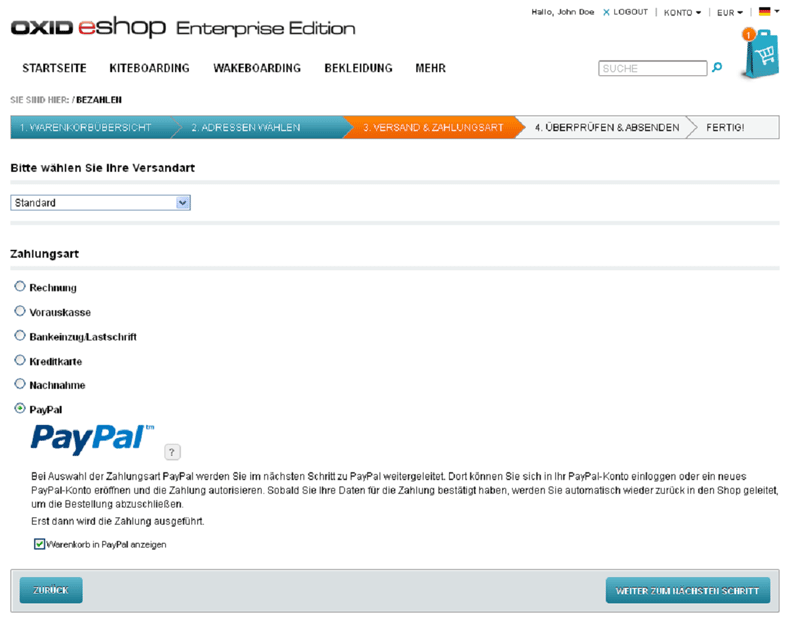 PayPal eFire Extension is a flexible and configurable stand-alone interface between your OXID eShop and the online payment solution PayPal. PayPal, as the world’s leading payment provider, is a reliable partner for fast and safe payments in your online shop. 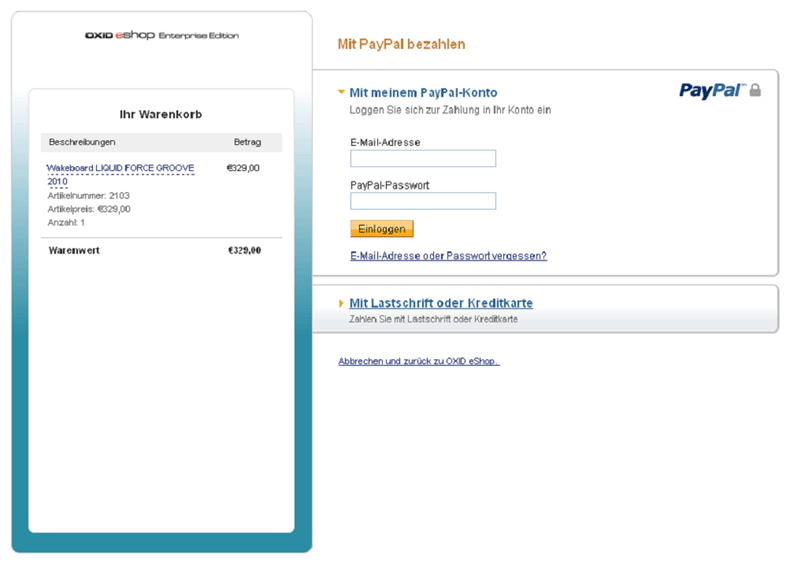 PayPal is offered as a payment method in the order process. For orders that are paid with PayPal, amounts and partial amounts can be redeemed or refunded. Express Checkout with PayPal in standard shop order process, mini-basket or detail page. The timing of cash transfers can be defined. 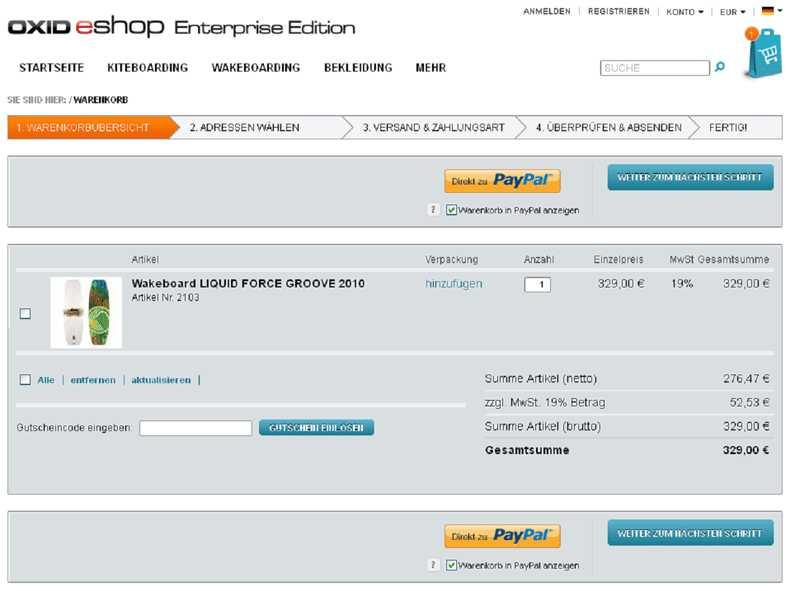 Shop name or corporate logo can be displayed on the PayPal payment page. Easy overview of all PayPal transactions. Compatible with OXID eShop mobile theme. To use this Extension you do not need to register on OXID eFire - it is a stand-alone module. Important: Extension Version 4.5.x is currently not compatible with Shop Versions older then 4.5.10. Versions 4.4.x - 4.6.x are also executable for PHP 5.2. OXID eSales is a leading provider of eCommerce solutions. With OXID eShop, the company offers a modular and scalable online shopping software with exceptional value for money.